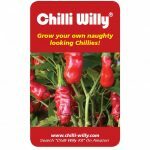 Rude Chilli Seeds – Grow Your Own Chilli Willies! 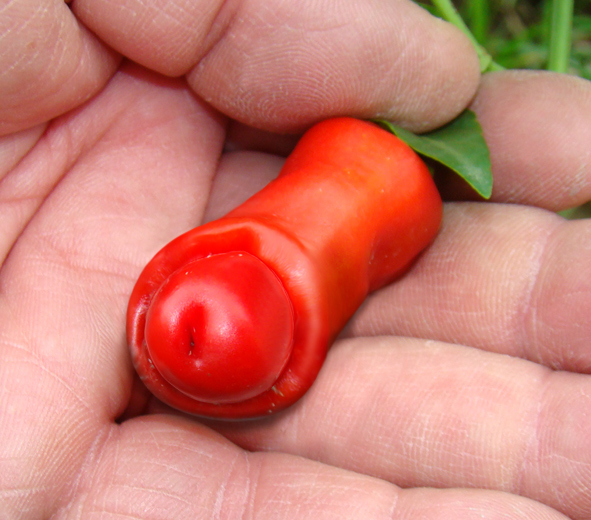 Plant produces generous amounts of rude shaped chillies. You can use this chilli fresh offcourse but also dried or grinded. The heat level of this chilli is not too hot. Will do well in salads, great in a sandwich wrap or any Mexican, Italian style cooking which needs some nice red colour for the looks and not too much heat. 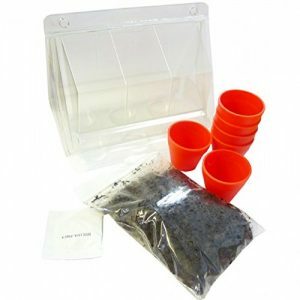 Shortlisted by shows such as Jamie Oliver’s Celebrity Food Show and “Let’s Do Lunch” with Gino and Mel* Grow your own naughty looking chillies with the hilarious Chilli Willy greenhouse kit. 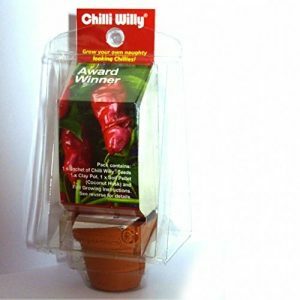 Our award winning Chilli Willy kit allows you to grow the most outrageous looking chillies. 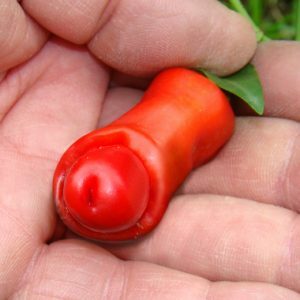 Chilli Willies are a natural variety of chilli pepper that grow into phallic shapes. 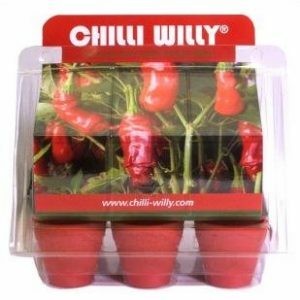 The Chilli Willy kit comes with 6 pots, 6 rare Chilli Willy seeds and organic growing medium, so you can easily grow hilariously shaped chillies with ease, have growing competitions with your friends and impress all your guests at dinner parties! What’s more, once your Chilli Willies are ready, you can eat them too! 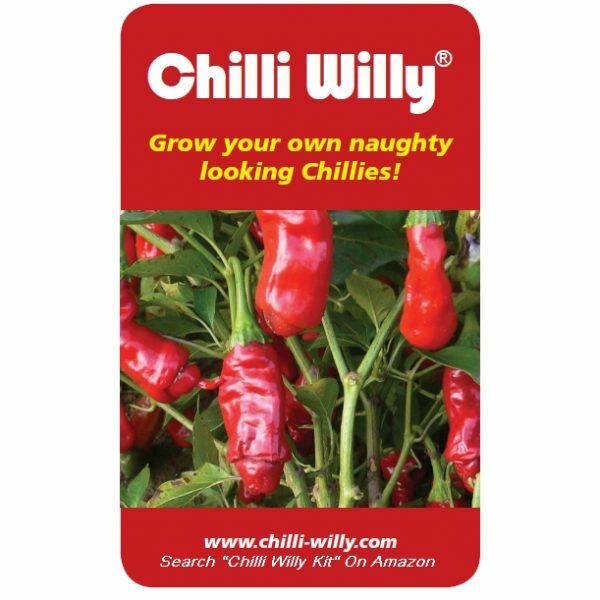 Give someone a gift that will make them smile for months to come… get them a Chilli Willy Kit!